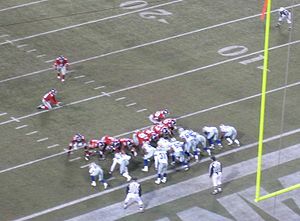 With their 24-17 loss to the Dallas Cowboys last September 5, the New York Giants became the first defending Super Bowl champs to lose the first game of the next season after their title since 1999. The Denver Broncos won the Super Bowl after the 1998 regular season and then lost their first game at the start of the ’99 campaign. The Giants, however, weren’t the only previous Super Bowl champ to lose on the first week of the 2012 season. In fact, for the first time in NFL history, the last four Super Bowl champs all lost their opening game of the 2012 season. In addition to the defending Super Bowl champion Giants, the Packers, 2010 season champs, lost to the San Francisco 49ers on Week 1 of the 2012 season; the Saints, 2009 season champs, lost to the Redskins; and Pittsburgh, 2008 season champs, were defeated by the Denver Broncos. Following are the Super Bowl champs who lost the most games to start the following season after their title. In 2011 the Giants became the eighth team in NFL history to win the Super Bowl after starting the season with a loss (ironically, the Giants lost the first game of the season in three of the four years they won the Super Bowl). The Giants started the 2011 season with a 28-14 loss to the Washington Redskins. This past season’s Super Bowl teams, Baltimore and San Francisco, both won their first game of the 2012 regular season. Here’s a quick look at the Super Bowl champs that lost their first game of the year in that title season.